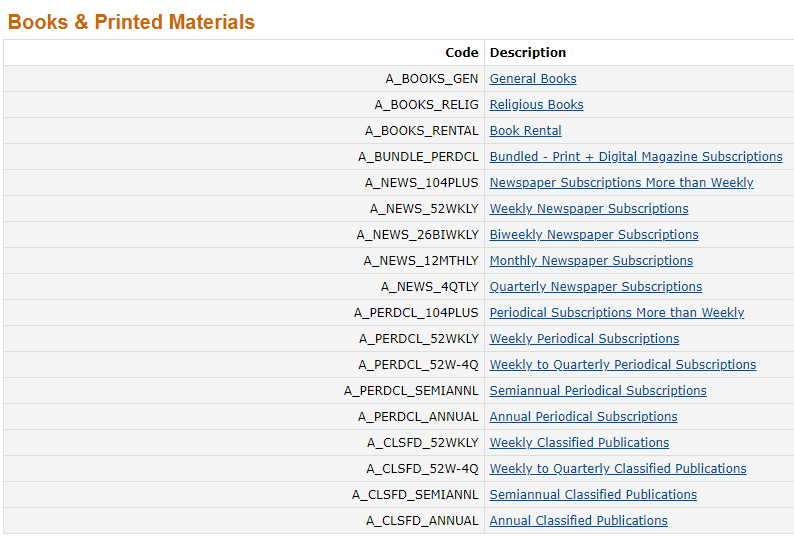 Where Do I Find What the Product Tax Codes Are? You may need to click Accept on the Tax Settings page the first time you visit this page. 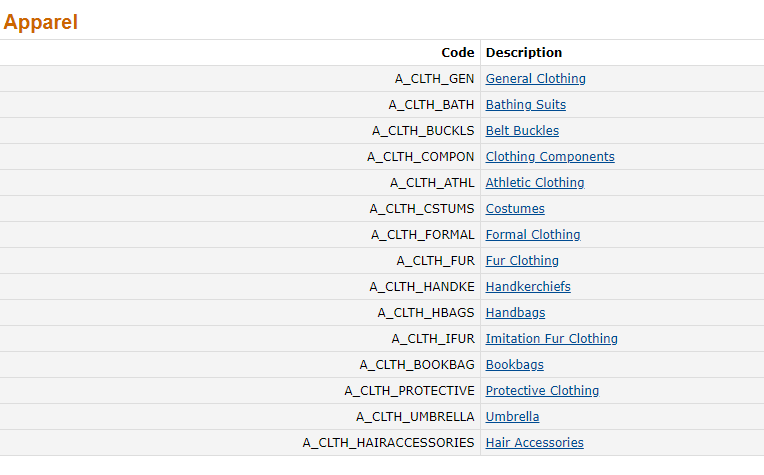 Click each category that you sell in to make sure it does not have a specific tax code. Why is this important? Some States have tax free weekends on certain products, those items need to be identified correctly, and some States charge sales tax on products that other States don’t. Make sure you take the time to set up the collection correctly. Do not presume it is always assume it is A_GEN_TAX or A_GEN_NOTAX, some grocery items are charged tax. DISCLAIMER: Always go directly to Amazon to view most updated information and click on the hyperlink provided there to get the full details. 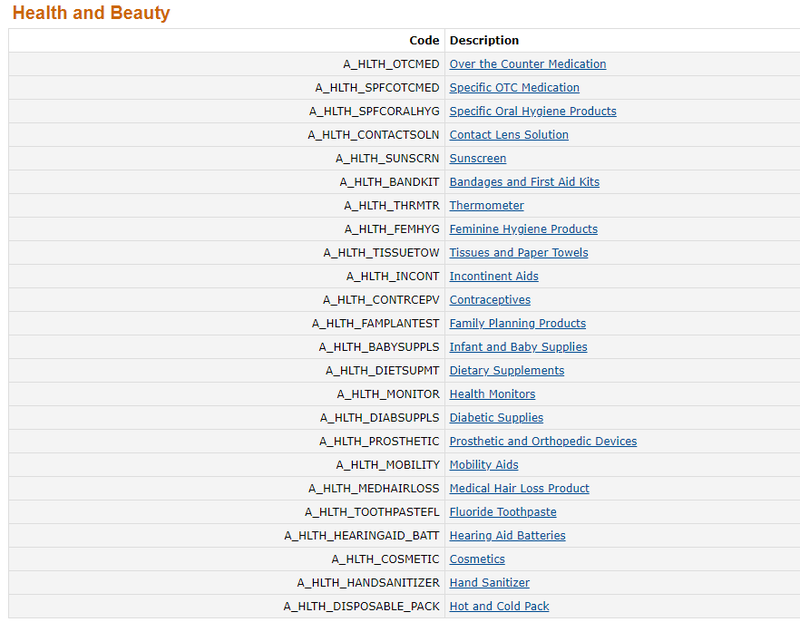 How Can I See If I’ve Assigned the Right Product Tax Code? Request report and download when it’s processed. You will easily see any PTC you have missed. This is a mock up report. If most are A_GEN_TAX, in your Tax Settings you can set the default to A_GEN_TAX and just fill out the ones that it doesn’t apply to. Again, I emphasize the importance of checking all Product Tax Codes DO NOT just assign the “general” tax code. 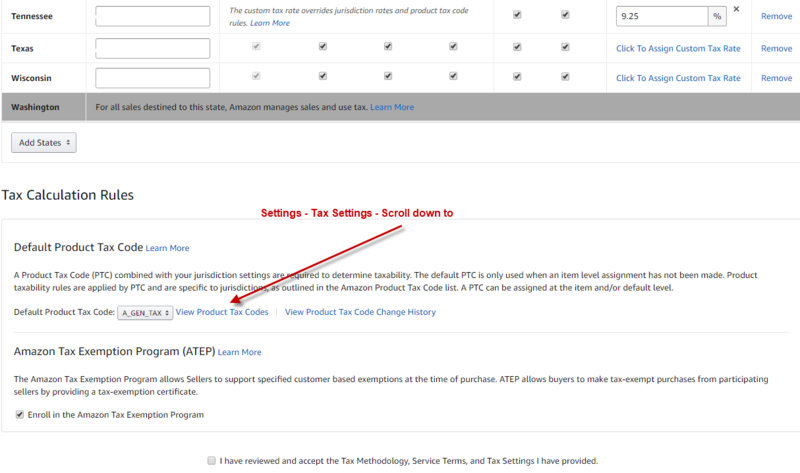 Always check Amazon’s Tax Settings page for the most up-to-date information and in depth detail of each Product Tax Code.